Is Premium much better than Economy? Is Business Class worth the money? When you’re flying long haul, jetting off on your holidays to Japan for example, every little helps. So here it is ladies and gentlemen, Premium Economy and Business Class facing off in a clash of luxe vs bucks. Find our tips for flying long haul here. 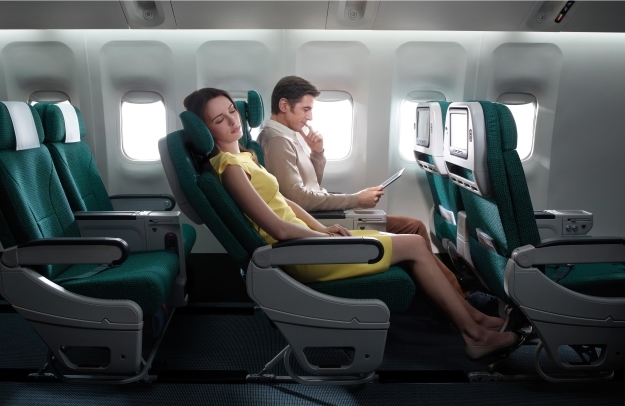 The Premium Economy cabin of Cathay Pacific, one of our partner airlines. Choose Premium Economy and you’re in for a treat! Compared with economy class, you get a bit more leg room (on average, economy legroom is around 31 inches whilst premium is around 38 inches), you get a couple of inches more seat width, a better recline and in many cases, some form of leg rest. Many premium cabins also give you a bigger entertainment screen, some swish noise cancelling headphones and maybe even a simple amenity kit with sleep mask and toothbrush. The majority of airline have a dedicated cabin for their Premium customers, with curtains for added privacy and usually fit around 40 people. If you happen to be flying a double decker 747, the Premium cabin might even be upstairs, which really does feel extra classy! You may also find your cabin has a couple of dedicated flight attendants, making the inflight service a lot more relaxed and attentive. Other perks that improve your experience include priority check-in and priority boarding, but this depends on which airline you fly with. You know things are going to be positive when you take you seat on your flight and you’re handed a cold glass of champagne to kick things off. Then it’s onto the dinner service, something many of us wait for with bated breath…will it be tasty? Hit or miss isn’t it. In Premium, most airlines have upped the ante, serving food on actual real plates with actual real cutlery and may even offer upgraded, more imaginative meal choices – sometimes including a dish off of the Business Class menu, and a better choice of wines and spirits for free. You’ll probably also have access to all the snacks you can eat – some airlines will deliver them to your seat, whilst others have a little area from which you can help yourself (and stuff your pockets). 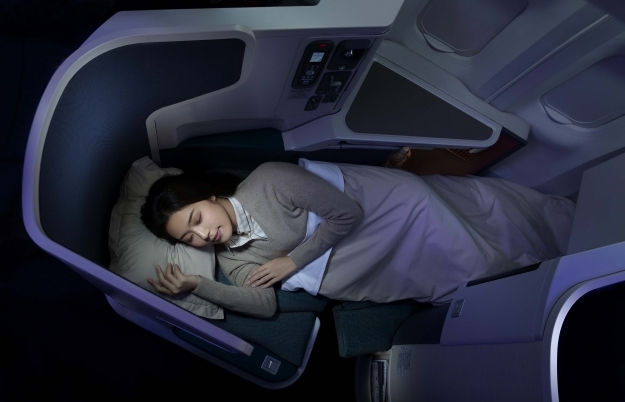 The Cathay Pacific fully flat Business Class bed. It lies flat. Need we say more? Well, we suppose there are a couple of other things to mention. Your Business Class seat comes with a lot more privacy, sometimes even housed inside a little pod, complete with lots of extra cubby holes for stowing all of your bits. Some airlines give out complimentary slippers and you’ll get an amenity kit complete with high-end miniatures to keep you glowing throughout the flight plus a pillow and duvet for extra comfort. Entertainment screens are significantly bigger and likely to be touchscreen, and the headphones even better at cancelling out noise. And the seat lies flat…did we mention that? Business Class passengers can enjoy extra baggage allowance, dedicated check-in desks, priority boarding and priority luggage handling and that’s before the flight has even left the ground! Onboard, Business cabins are small, quiet and private, with their own team of flight attendants to give the most attentive and personal service – they even learn your name. You’ll get all those little extras like hot towels, classy magazines and pyjamas to make you feel completely at home, and of course that welcome glass of champagne that you can just keep refilling and refilling. Dining in Business Class has the air of a fine dining restaurant. A menu is delivered to your seat with a range of meals, usually designed by a world-class chef, and wine choices. In some cases you might even be able to order exactly what you fancy before you fly. Some airlines provide a crisp white table cloth and miniature salt and pepper shakers to compliment the food. You’ll get a real glass to sip from, silverware and porcelain and may even have your food served by the course, rather than having it all arrive in one go. Outside of meal times, you’ll be able to indulge in a range of premium snacks – all you have to do is ask! Premium Economy offers added comfort on a long-haul flight as well as some of the benefits of Business Class without the price tag, whilst Business Class is simply an all-out indulgence that everyone should try once in their lifetime. The choice is yours! 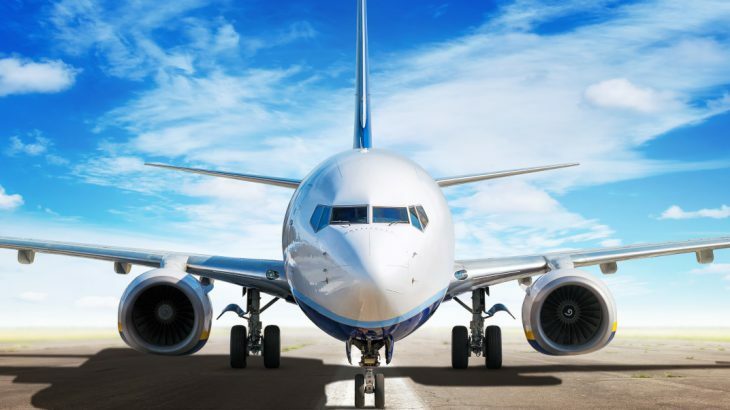 Wendy Wu Tours regularly partners with a number of airlines to offer excellent upgrade deals for our customers – find out what’s currently available! General adventure, airlines, luxury, travel. permalink. I considered to choose Premium Economy for several times but I always rejected it because to me it wasn’t worth it. For you have still to sit all the time and have no possibilities to lay down like in the Business Class. That’s why I would rather choose the Business Class or stay in the normal Economy Class.